My oldest daughter has been playing the violin for almost two years now. She started in fourth grade with her school’s music program. A few months ago she auditioned for the honor orchestra and low and behold she made it! I feel very lucky that her school district has such an incredible music program and they hold the arts at such a high value, especially when the arts are getting cut out of most schools these days. She has rehearsed for almost two months with the honor orchestra group and it culminates with a program called Stairway to the Stars. 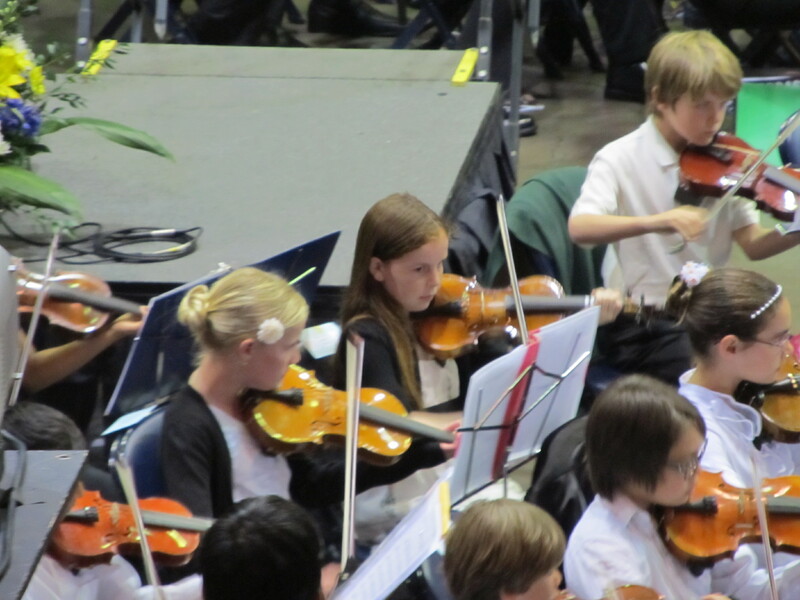 The honor orchestra is made up of students from all of the elementary schools in the district. There is also honor band and choir. There are elementary groups, middle school groups and high school groups. It was an amazing performance! We were so proud and grateful! Hope you are enjoying this very green day! 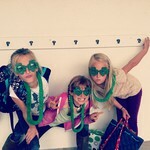 May the luck of the Irish be with you today and everyday! I love a day about LOVE! Whats not to love, right? I love to spend this lovely day with my family. For dinner, we all get to choose a food we “love” and then we will have a love feast. My oldest daughter, enjoys healthy food so she requested broccoli and mashed potatoes. My youngest daughter has more simple tastes, so it is all about ice cream sundaes for her and my husband can’t resist a delicious steak. I am looking forward to enjoying this day with those that I love. 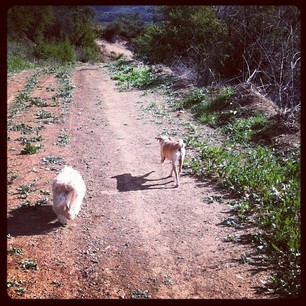 To get this beautiful day started off right, I took out my two other loves for a walk. 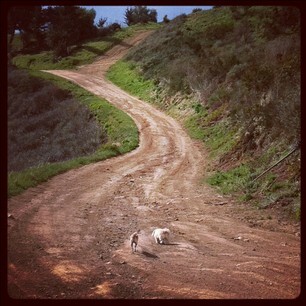 I am lucky to be able to walk out my door and have hiking trails to explore. Hope you enjoy your day and experience lots of love! Want to have an amazing family getaway? Head to a dude ranch, yeehaw! This summer we were lucky enough to have had a long weekend spent with family at the Rankin Ranch located in the heart of the Tehachapi Mountains in central California. The 13,000 acre working cattle ranch has several rustic guest suites where you can relax when you are not riding the trails, fishing, swimming, playing games, learning to square dance, playing horseshoes or eating. I think you get the idea, there is a lot to do or nothing at all. It is old-time family fun and we loved every minute of it. The ranch sits in such a lovely setting it is easy to ponder about leaving the big city and permanently relocating. 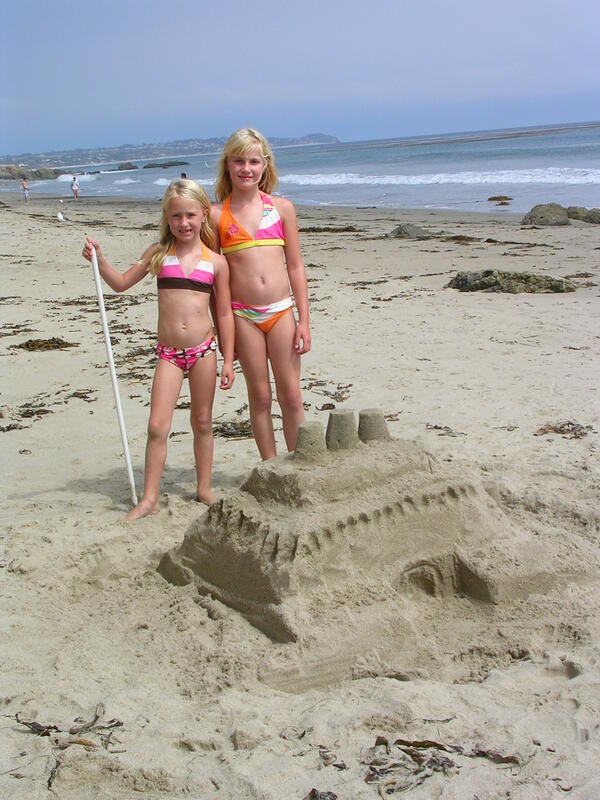 Still time to build an amazing sand castle! Tips to show you how! Since moving to Malibu, CA this summer, we ended up at the beach more often than usual. Who could blame us, there are some of the most beautiful beaches in the world here. It was a nice way to get to know our new hometown. Not knowing many people, we needed to have a project (since play dates were lacking) so we decided to perfect the art of sand castle building. I say this sarcastically, of course, since ours really were never going to win any contests but that did not bother us. We just had fun and that really is all that matters. 2. Grab whatever buckets you have, smaller shovels plus kitchen tools like spatulas, melon ballers, plastic knives and skewers. 4. 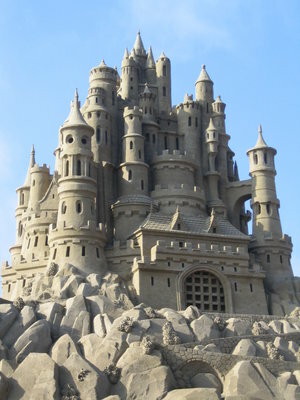 Start piling up sand in the area you want the castle. Form it into a volcano shape with a crater on top. Have the kids take turns standing in the crater as you fill it with water and the kids can stomp it down, forming a strong base. Pack in the sides by gently hitting the sides with the shovel. Continue this until you get the base to the desired size. 5. Flatten out the top and use this as a starting point for placing different molds with your buckets. Start carving at the top and work your way down. Use the spatulas to carve out levels and smooth sides. Use melon baller and skewers to add details such as windows and doors. 6. And away you go. Get creative by adding shells, seaweed, moats and bridges to your creation. And voila!